water Want to get found by your target audience more QUICKLY, right? Then, it should better catch attention quickly. Visual posts can help you with that. If you haven’t read the first part of this two-part series on visual content marketing optimization yet, go and check it out. If you have [read it] already, this article is its last part. So how do you use visual content to get to a wider audience? There is no better way to do this than to make sure that you have your visual contents optimized. Visual content optimization is making sure that your contents are optimized to enhance platform user’s experience. That means it looks nice, easy to read and size is just about right. It also includes “telling” the search engine spiders which file folder to save the contents. Optimize image post for your social media audience. (Marked as SMO Tip). Speed is one reason that affects your website’s ranking. The more visual contents you have on your business website, the higher the chance that it will negatively impact search engine ranking and user experience. How so? It will slow down your page. Why? Because Google wants it to load fast. 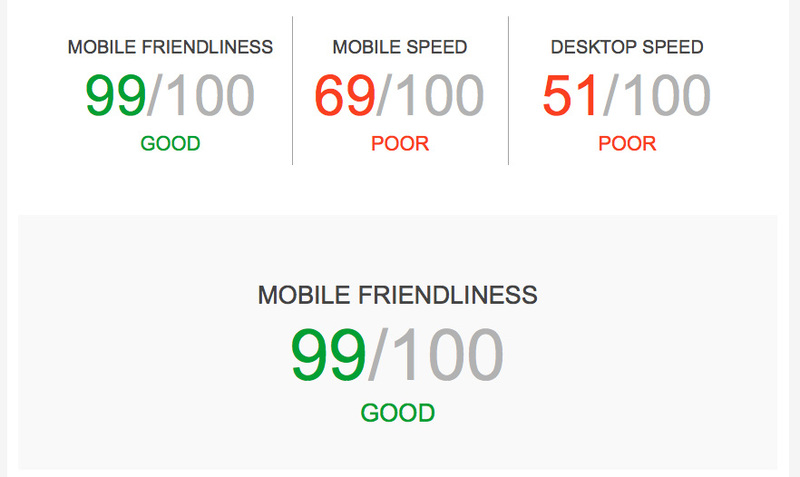 I won’t pretend but here is my business website’s report card about its speed. UGH. Per details of that report, it is the visual contents that are adversely affecting the speed. You know that Google penalizes slow websites, right? Ouch. So what should you do with your visual contents to make sure that your speed is ideal? How does that translate to your optimizing your visual contents? Less is more. The fewer the images you use, the better. However, using a lot of images is indeed tempting! The smaller the file size, the better. Always use “save for web” option for a file, if you have that. Embed a video from either Youtube or Vimeo instead of uploading your file directly to your site. Those who are legally blind. If they happen to come upon your visual in search results, the alt texts you put there is what the machine will read out to them. Anyone when the image won’t load or if the picture is turned off or blocked, this is the text that is shown. And, alt-text tag gives search engines more context about the image or message. Visual contents appear in search results. Virtually everything that is displayed on a search results page can be optimized. The following is a screenshot of the first page of Google search results showing images and various other contents on the web. The images underlined in red are ours. Search engines, however, wouldn’t know what the image file is about, so you have to tell the search engine what it is. To do that, use short and appropriate file names. Make it a habit to change image file name with relevant keywords on your desktop before adding it to your blog or whatever storage device you and your team use for sharing and storing web images. Separate image file name with a hyphen (-). The search spiders read that as space. That is another visual format for you to consider. It is the texts that search engine spiders crawl. Again, like the photos, search engines wouldn’t know what you are showing unless you tell it. Your transcription of the video helps the search engine add context to what your video is about. You see, we love visuals; search engines love texts. The people in social media aren’t there to buy something. They use social media to connect with family and friends. If you want them to notice your brand, you would want your image to be interesting enough to warrant their attention, speak with you or talk about what you posted with their family and friends. So here are tips on how to optimize images for your social audience to make sure that you catch their attention, and that your message is understood CLEARLY and FAST. Associate the image with the context of your message. Why? A message out of context could send a confusing message to your audience. Associate your visual content within the context of your audience’s target culture and interests. The internet is a global village. “What’s good for the gander may not be good for the goose” is an apt expression. Meaning that your content is relatable and helpful. Also, just put yourself in your consumers’ place, if the image seems ugly to you, it would most likely look ugly to them. Don’t you just hate it that platforms have different image sizes? I tried posting a square image to Facebook, which is the ideal size and shape for Instagram. It looked smaller on Facebook. Also, have you tried using the featured image of your blog on Facebook and Pinterest? It will not look right at all. See this example below. The dimensions of the image here is suitable only for the website and not for posting to Facebook. Each platform has its PERFECT dimensions. More of this later. Sometimes, less text is better. Sometimes large image sizes are better. Sometimes no text is better. The point? Have the right balance when overlaying images with texts. And the best way to figure this out? Test your social media post! There’s no other way to find that out for certain. Be careful on the placement of your logo and other branding elements. Putting it too low means that it could potentially get obstructed by features of a platform. You wouldn’t want your business logo or name to look too big either. It is going to be too distracting. 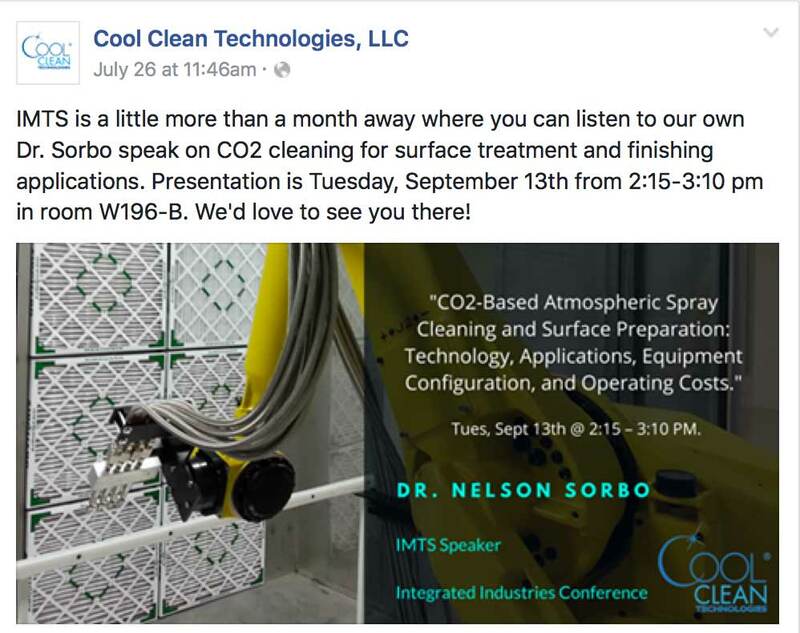 As an example, see this post by Cool Clean Technologies, a company that helps other companies on innovative manufacturing process. Their logo placement and size are just perfect. It is neither too big nor too small. Copy or your social media post must grab attention too not just the image. You wouldn’t want the important part of your message hidden in the ellipsis. You want people to see it right away. Do not tag people or brands indiscriminately on ANY visual content unless they are in the photo. It builds trust and community. If you happen to use other people’s content such as in an infographic, attribute the author. The one I just linked to is from Startup Factory. I didn’t just use it; I asked permission. Use high-quality images to showcase what you are selling. 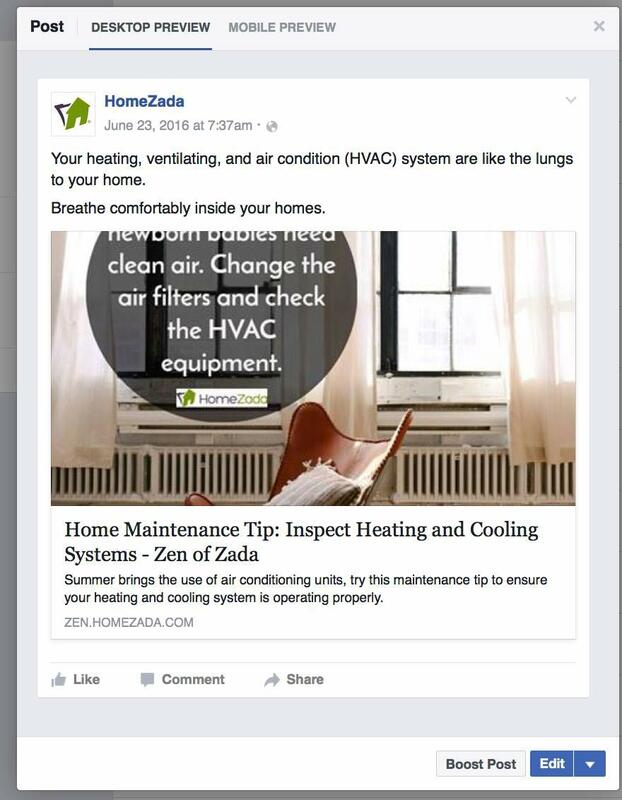 Facebook, Twitter, and GooglePlus will let you pin post. Use it. If you are using a third-party tool for visual content and cross-post it, check the output and see how the image you are sharing is showing. Often, it is better not to have your consumer click a link (that’s “work”) to see what image you are sharing. Here is an example. The content of these two posts is the same. The first post was posted directly on Twitter. While the second one is something that I cross-posted from Instagram to Twitter. Which of the two above posts is more appealing to you? Not the one with Instagram URL! There are many “ultimate” social media image dimensions guide that you find out there. Often what you needed is just dimensions of an image for a particular use or platform, right? Me too! 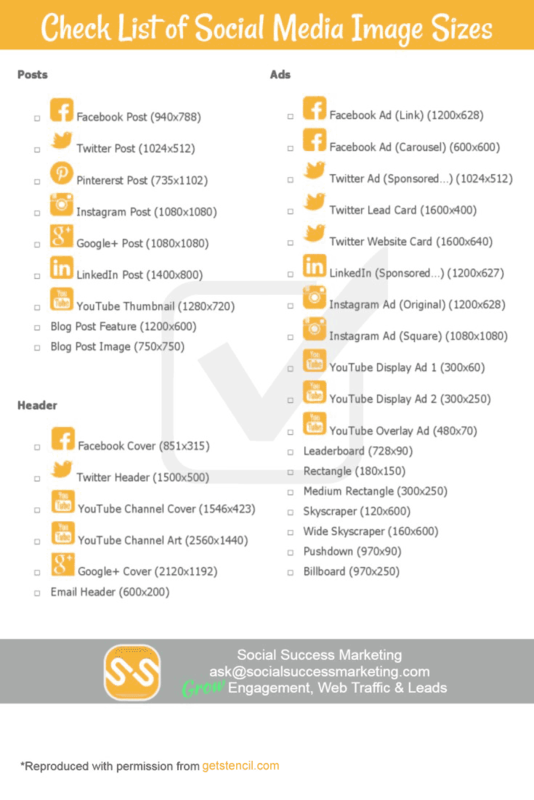 But what you find is a long infographic for a platform and another and another. I found a list of image dimension from getstencil.com that I liked, so I asked their permission to reproduce it into an infographic. See below if you could use it. Feel free to grab it. Visual contents in different formats are memorable and effective. How do you optimize images for search and social media? Anything you like to add?